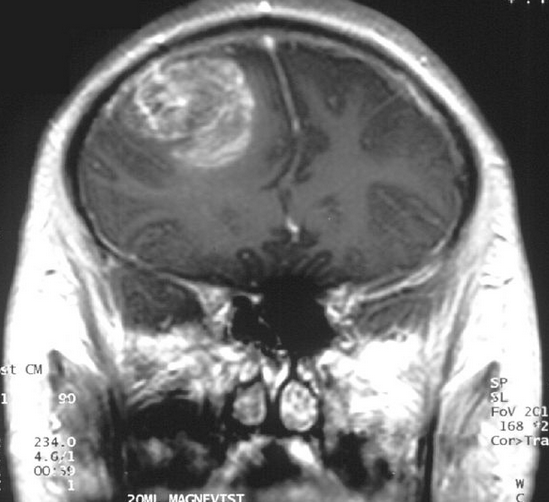 shows several macrophages in the area of the lesion. 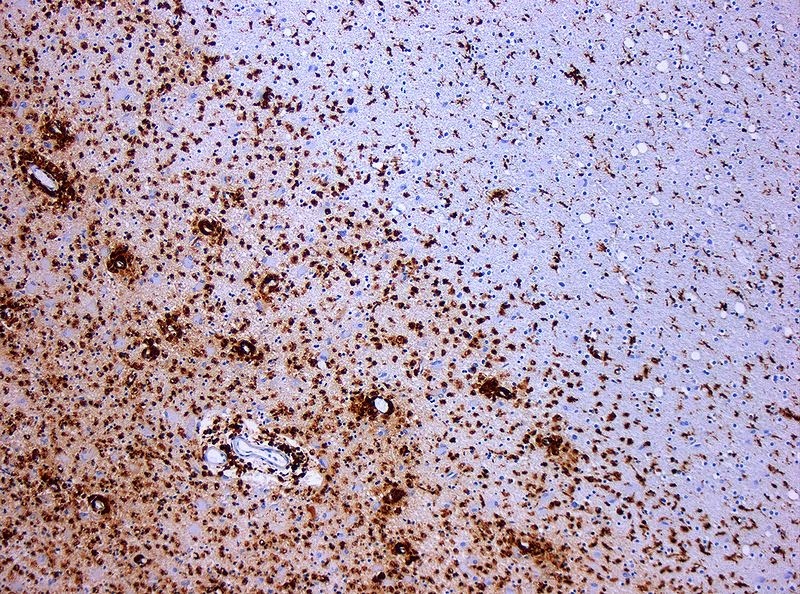 New study reveals that hematopoietic stem cell transplants may be more effective than the drug mitoxantrone for people with severe cases of multiple sclerosis. The study appears in the online issue of Neurology®, the medical journal of the American Academy of Neurology. A total of 21 people whose disability due to MS had increased during the previous year even though they were taking conventional medications (also known as first-line treatments) participated in the stydy. The participants, who had an average age of 36, were at an average disability level where a cane or crutch was required to walk. Multiple sclerosis (MS) causes the body's immune system to attack its own central nervous system. In this phase II study, all of the participants received medications to suppress immune system activity. 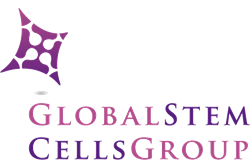 Global Stem Cells Group announced yesterday that it has signed a memorandum of understanding with the Regenerative Technology Alliance (RTA) to evaluate and promote stem cell training programs. Global Stem Cells Group and the Regenerative Technology Alliance (RTA) have signed a memorandum of understanding to evaluate and promote stem cell training programs. RTA, a global provider of standards and certification for the emerging fields of regenerative medicine and science, will work along with the Global Stem Cells Group to evaluate the regenerative medicine company’s training programs and assess GSCG’s participating physicians against the RTA’s established international standards for the practice of regenerative and cell-based medicine. biochemical signaling chemically (shown in green below). 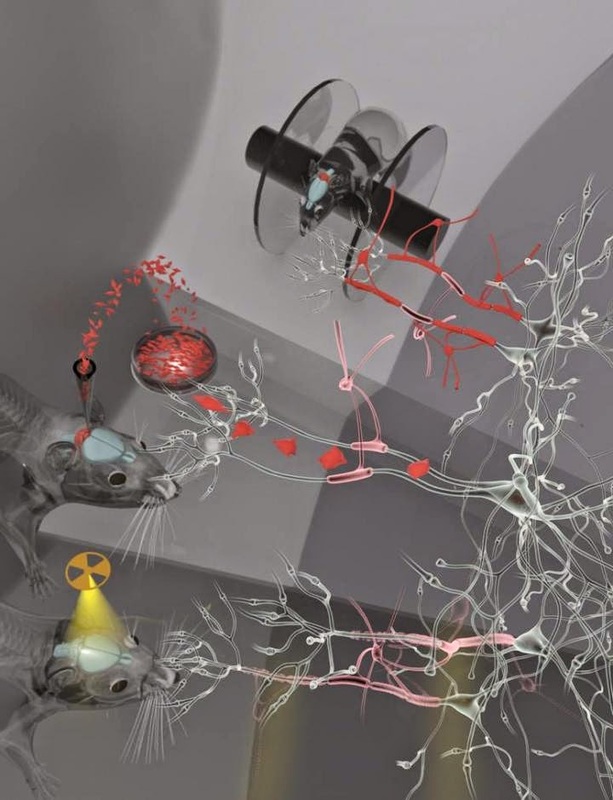 By using optical tweezers to squeeze a tiny bead attached to the outside of a human mesenchymal stem cell, scientists now know how mechanical forces can trigger a key signalling pathway in the cells. 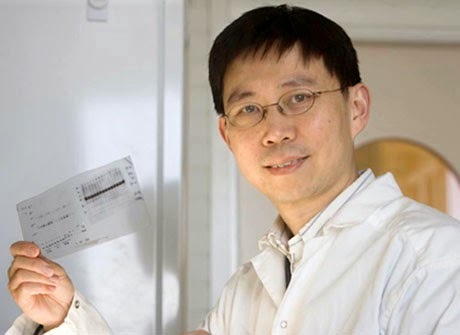 This squeeze helps to release calcium ions stored inside the cells and opens up channels in the cell membrane that allow the ions to flow into the cells, according to Yingxiao Wang, leading author of the study and bioengineer at the University of California, San Diego. It's long known that mechanical forces exerted on stem cells have a significant role to play in how the cells differentiate into other cells and form all kinds of tissues--like bone, skin and blood--from scratch. But until today, it hasn't been clear how some of these forces translate into the signals that prod the stem cells into building new tissue. Blood vessel cells improve the conversion of pluripotent stem cells like iPSCs to blood lineages. Hematopoietic stem cells (HSCs) can differentiate into all the kinds of ce ls that comprise the blood and immune cell lineages. For decades now, hematopoietic stem cell transplantation is the only viable option for certain blood disorders, however, sources of HSCs are limited. 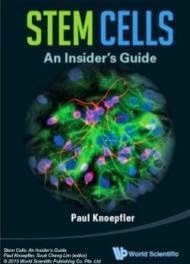 Pluripotent stem cells(PSCs), like induced pluripotent stem cells and embryonic stem cells can differentiate into multiple types of cell lineages, but they do not readily reconstitute the population of cells in blood. 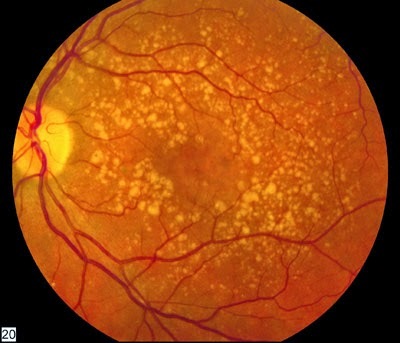 Now, a new study appearing Journal of Clinical Investigation reveals that the presence of endothelial cells, which make up the lining of blood vessels, improves the ability of PSC-derived cells to repopulate blood cell lineages. Hans-Peter Kiem and his team at the Fred Hutchinson Cancer Research Center differentiated PSCs in the presence or absence of endothelial cells. 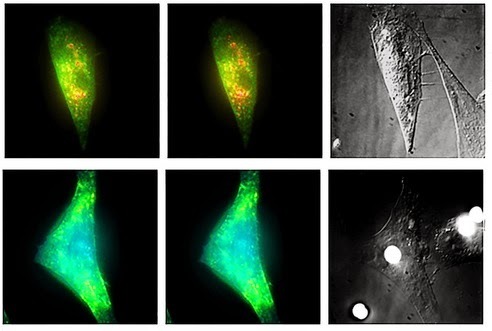 Researchers identify signaling molecules in intestinal stem cells that can give rise to cancer stem cells and tumors if left unregulated. 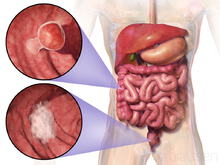 The research suggests a new approach to targeting intestinal cancers. 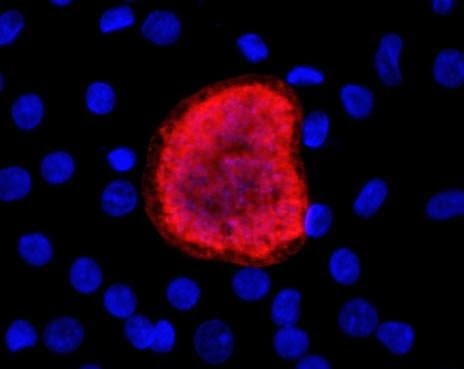 Researchers at Sanford-Burnham Medical Research Institute (Sanford-Burnham) announced today that they have discovered a precise stem cell signaling process that can lead to intestinal tumors when disrupted. Their findings add to our understanding of how stem cells give rise to tumors and identify specific stem cell molecules that may be targeted to prevent the onset, progression, and recurrence of intestinal cancers. The results of the study appear online in Cell Reports today. A bill to to make embryonic stem cell research illegal and to further restrict abortion in Oklahoma both cleared a House committee on Wednesday, despite concerns from a doctor on the panel. While activists gathered at the Capitol for the annual anti-abortion Rose Day rally, the House Public Health Committee voted mostly along party lines to approve both bills. An exception was Rep. Doug Cox, a Grove Republican and an emergency room physician who opposed both measures. One bill would increase from 24 to 72 hours the amount of time a woman must wait before receiving an abortion after receiving certain information about the procedure, including the age of the fetus, risks involved and that ultrasound and heart tone monitoring are available. Rep. Lisa Billy, R-Lindsay, said the purpose of the bill is to “empower women” by giving them more time to consider the implications of an abortion. But Cox said it amounted to government intrusion into a medical decision that should be between a woman and her doctor. The other bill would make it a felony crime to perform embryonic stem cell research in Oklahoma. The bill is opposed by many doctors and business groups like the Greater Oklahoma City Chamber of Commerce, who argue it could impede scientific research in Oklahoma.